It is easy to use and very powerful, and unlike some you can use it with any AR. Worth the price for the unlimited license. 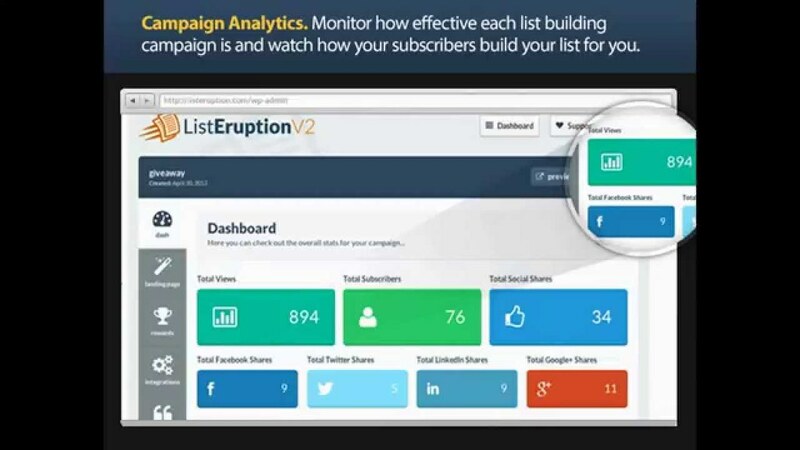 List Eruptions absolutely is one of best plugin to build an email list. Its viral function is very powerful and unique. More emails from your targeted niche usually mean more profit. Email marketing prevailed as the most profitable platform for selling and making money via affiliate marketing. That is why together we will do a review of a product we used to enhance our list. We are talking about the critically acclaimed list building software: ListEruption 2.0. It is a software that can significantly increase your subscriber list with unique method and tools! In this review, we will make a concise overview of what this software can offer to the end users and does the features included in the software really work. 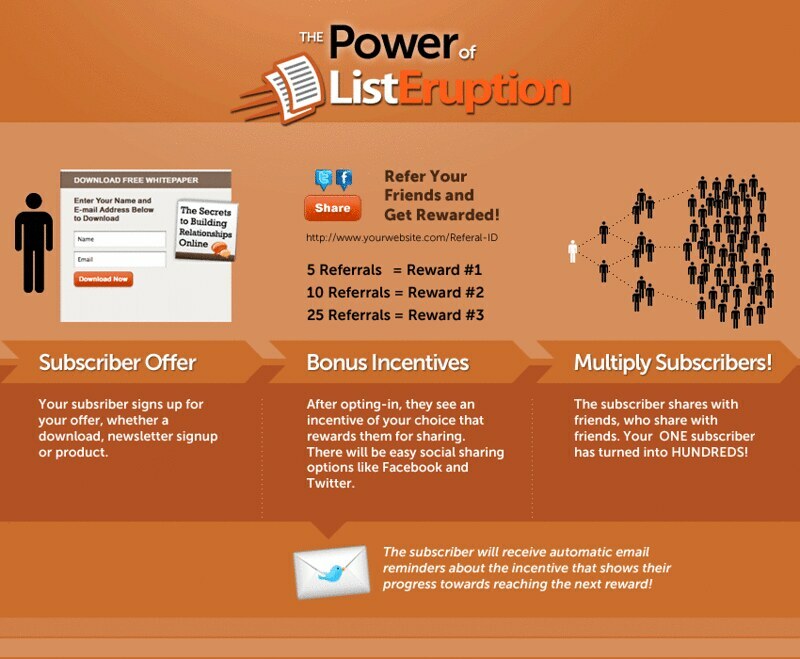 What exactly is List Eruption? At its core, ListEruption 2.0 is a WordPress-Plugin, so your website must be hosted on that CMS. It is a system that works in a simple way. You tell about the system to other people and expand their knowledge about the software, they utilize the software, grow their list, but also they grow your list. It is a system that works with rewards for the ones that refer subscribers to you. Used from more than 3k people, List Eruption 2.0 also includes e-mail reminder system that will send reminder emails to your subscribers so they can participate in the program as well. But, to make it a complete email subscriber WordPress plugin, it also includes a tracking system that tracks each subscriber and their activity. Why We Loved List Eruption 2.0? – It is extremely easy to set up. It is not clunky nor complicated. All you need to do is implement few simple steps and you are ready to benefit from it. – It comes with lots landing pages and sidebar widgets that are pre-designed. If you are not a professional web designer, and you just need ready to use pages and banners. Everything is ready-to-use and designed in an effective way. – The biggest feature of List Eruption 2.0 is that enables you to create additional and multi-layered referral reward levels. So, your first subscribers will have the motivation to get more subscribers, and their subscribers will also have the motivation to get more etc. All their actions will help you benefit the most. The subscriber shares with his friends, the friends share with their friends etc. 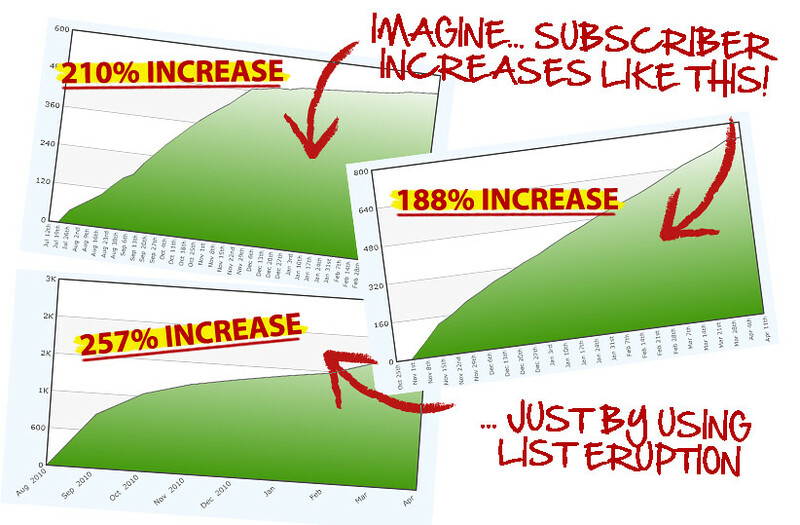 Your initial subscriber can become tens or hundreds of subscribers. This is a really good software. Not only it gives a clear overview of your subscribers, but also it enables you to grow the list with their rewards system. Everything is crafted in a way that is easy for the end user. All you need to do is adjust the templates, designs and the whole system to your website, service or product and you can grow your list immensely.